← Have You Discovered Our Diamond Bookshelf Pinterest Boards? What do you really know about the power of listening? Maybe you’re an audiobook fan, maybe you believe listening to audiobooks is cheating, maybe you’ve not given much critical thought to how listening matters to literacy. The Sound Learning project provides a wealth of research, practical tools, and other guidance to help educators, librarians, and parents understand the dynamics listening plays in being a fully literate person. The past couple of years have seen an overdue change in the tide that once opined that to listen to books was somehow doing less than reading print. We know that beginning print readers need a lot of decoding practice. 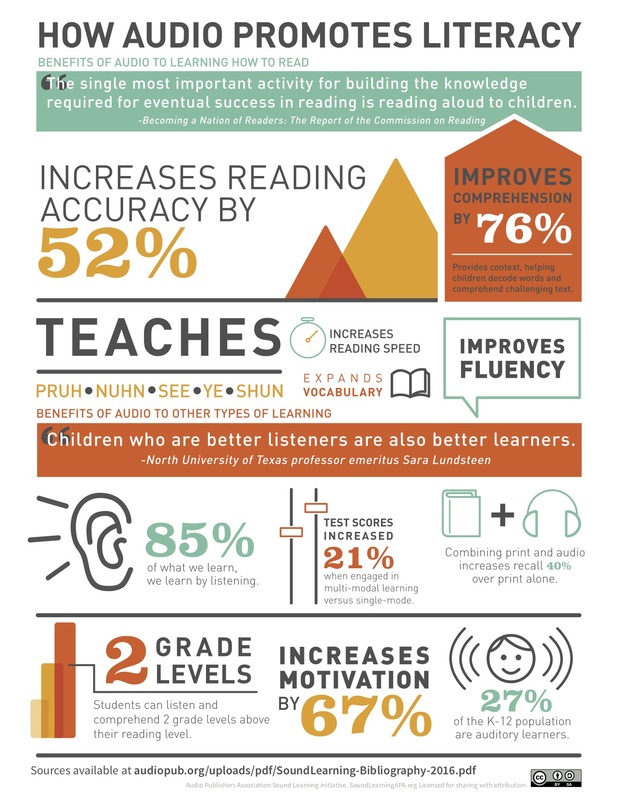 However, before they begin to try to read print on their own, children thrive in their capacity for language—and later literacy—by listening. And after they’ve acquired those decoding skills, reading print is really just one way to acquire narrative that our brains consider critically, imaginatively, or just for fun. The Sound Learning project offers lists of fine audiobooks for different age groups, including read alouds for the very young (while sitting with a caretaker, of course, or for the dozenth time in a row when that caretaker has no passion left at the moment for that one title); read-alongs for those just beginning to learn how to interpret print; and all kinds of texts for competent print readers to hear so that they are exposed to rich language, complex ideas, and a chance to actually slow down and think about what the author has put forward, instead of skimming lightly over its service. Explore Sound Learning’s site and be sure to ask questions about it when you see us at conferences throughout the year. If you’re not a conference attendee, you can reach out directly to Sound Learning by emailing info@audiopub.org. Happy listening!